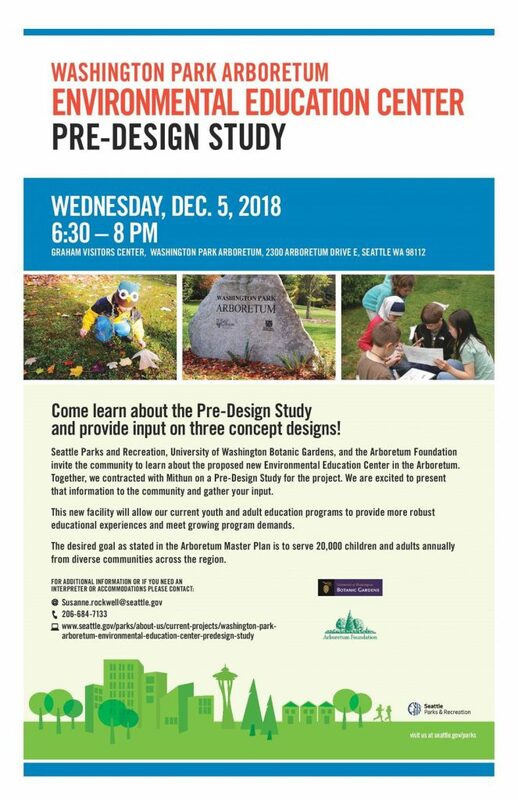 The Arboretum Foundation, UW Botanic Gardens, and Seattle Parks and Recreation invite you to attend a public meeting at the Graham Visitors Center on Wednesday, December 5 from 6:30 to 8 p.m. to share your thoughts on the pre-design for a new Environmental Education Center at the Arboretum. Design firm Mithun will be presenting its pre-design research findings, along with building concepts and three siting options. All are welcome to attend! The new facility will allow our current youth and adult education programs to provide more robust educational experiences and meet growing program demands. 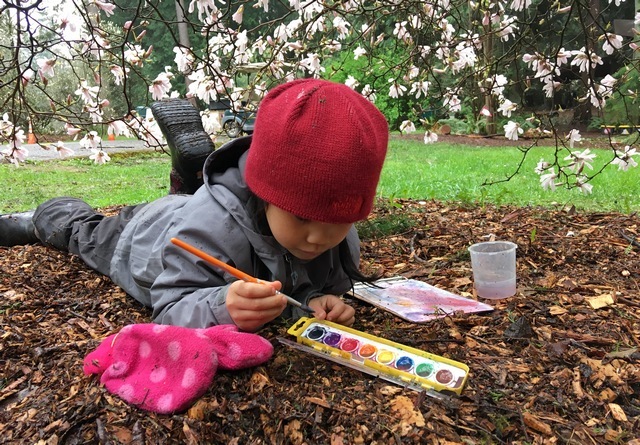 The desired goal, as stated in the 2001 Arboretum Master Plan, is to serve 20,000 children and adults annually from diverse communities across the region. Funding for the pre-design was provided by generous private donation made to the Arboretum Foundation and UW Botanic Gardens. MORE INFO: Visit the Education Center Pre-Design project page on the Seattle Parks’s website for more details.